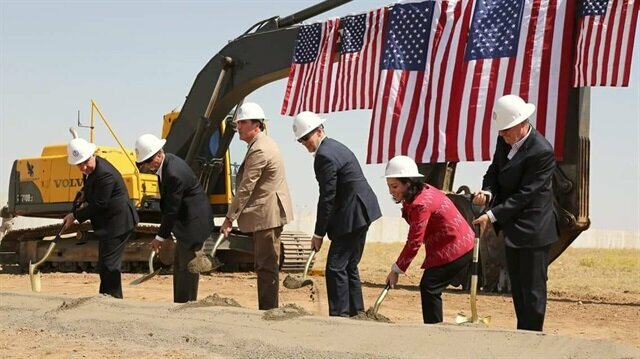 The U.S. has commenced the construction of its largest consulate in Erbil, which is being evaluated as part of a plan to divide Iraq into separate provinces. Following Trump’s controversial action to move its embassy from Jerusalem to Tel Aviv in May, the U.S. has started to construct its largest consulate, worth $650 million in Erbil, which is expected to be completed in four years. A member of the Iraqi Turkmen Front Office Information Department, Hüseyin Ömer Beyoğlu, stressed that the consulate complex is being built according to embassy standards. Noting that the U.S. was making Erbil-centered plans, “Following the referendum in northern Iraq, the U.S. may try to bring the ‘independent Kurdistan’ plan to the fore once again,” Beyoğlu added. The Kurdistan Regional Government (KRG) on Sept. 25 held an illegal referendum to secede from the Baghdad administration. In May, the United States opened its embassy to Israel in Jerusalem, a move from Tel Aviv that reversed decades of U.S. policy, causing global condemnation.